The Village of Suffern has been receiving calls regarding a proposed Local Law that is being considered by the Town of Ramapo with respect to Houses of Worship in Multi Family Dwellings. Since this is a proposal to amend the Zoning Code of the Town of Ramapo, this proposed Local Law WOULD NOT BE APPLICABLE to the Village of Suffern, which has a separate Zoning Code. Anyone wishing to comment on the proposed Local Law being considered by the Town of Ramapo should attend the Public Hearing that is being held this evening (January 30, 2019) at 7 o’clock at Ramapo Town Hall. 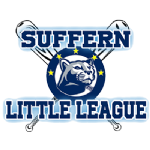 It is the goal of the Suffern Code Initiative to enhance the Village’s position as a premier place to live, work, and raise a family by strictly adhering to the Code of the Village of Suffern. Enforcing zoning, codes and other ordinances in the Village of Suffern will ensure a safe and desirable living and working environment, thereby protecting the health, property, and quality of life for all Village of Suffern residents. Examples of the Village of Suffern’s Code Initiative which have already been implemented include: A No Knock Policy, maintaining and updating our “Rental Registry”, and the training of Police Officers and Firefighters to recognize and report building and code violations.